WASHINGTON – An outstanding photograph of a tunnel breakthrough in the cavernous 3,300 foot long Caldecott Fourth Bore Tunnel Project in Northern California was awarded the Grand Prize in the Faces of Transportation competition, sponsored by the American Association of State Highway and Transportation officials (AASHTO). Seven other impressive photographs capturing highway construction workers and citizens using transportation facilities in their communities, also received awards. A judge selected the winning photographs from a pool of 126 entries in three categories: Building the Future, Taking a Ride and On the Road. AASHTO this year opened the competition to the general public for the first time, and 16 private citizens joined employees from 18 State Departments of Transportation in submitting photographs. Approximately 6,500 on-line votes were cast in the People’s Choice segment of the competition, which also is new this year. 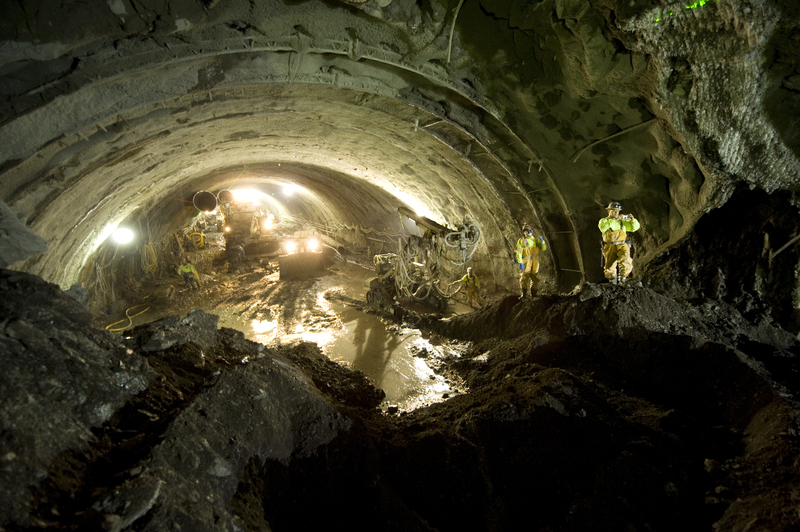 Metropolitan Transportation Commission Photographer Karl Nielsen’s photograph captures the breakthrough on the Caldecott Fourth Bore Tunnel Project in Northern California -which occurred in late November 2011 when the top portion of the west and east sides of the tunnel met. Tennessee Department of Transportation Photographer Mark Nagi took his photograph at a location where a landslide closed Interstate 75 in rural Campbell County, in March 2012. 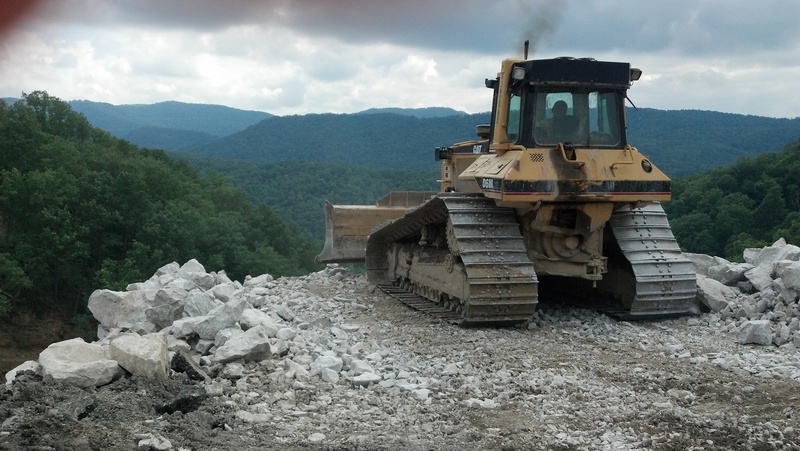 Set against the horizon of the mountains of East Tennessee, Nagi’s photo includes a bulldozer operator moving rock to the edge of a 180-foot cliff. 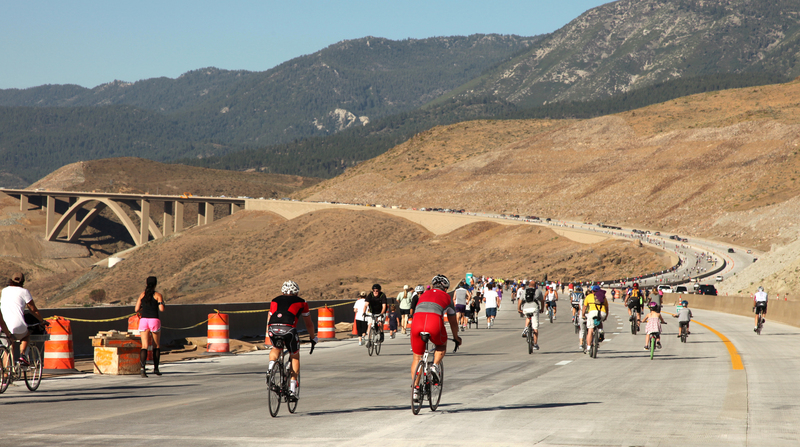 Nevada Department of Transportation Photographer Julie Duewel’s photograph includes walkers, bicyclists and vehicles rushing toward the Galena Creek Bridge, as part of the July 2012 fun run/walk/ride event that unofficially opened the Nevada DOT’s I-680 Freeway Extension between Reno and Carson City. 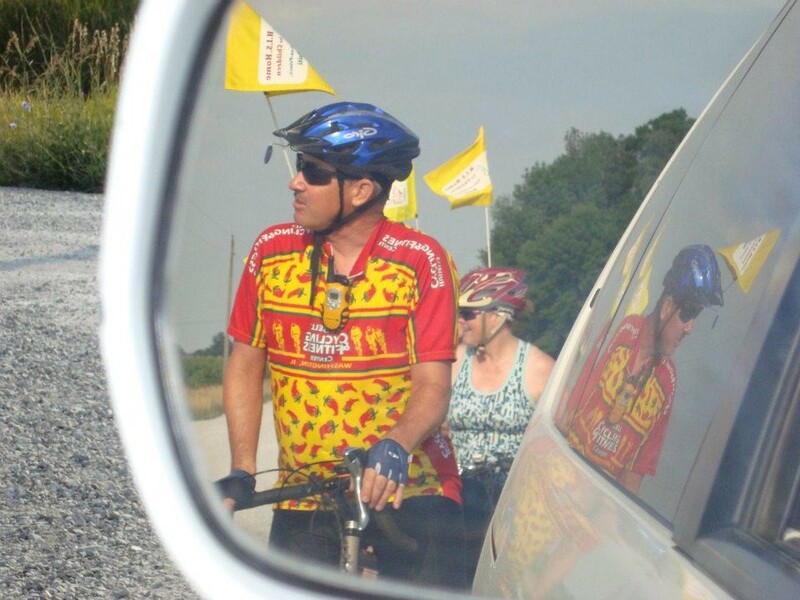 Natalie Smigel, of Peru, Illinois catches a glimpse of a cyclists behind her, in a photograph she took of people participating in the HIS Home 300; a 300-mile bike ride from Illinois to Ohio, which raised money to support a Haitian orphanage. 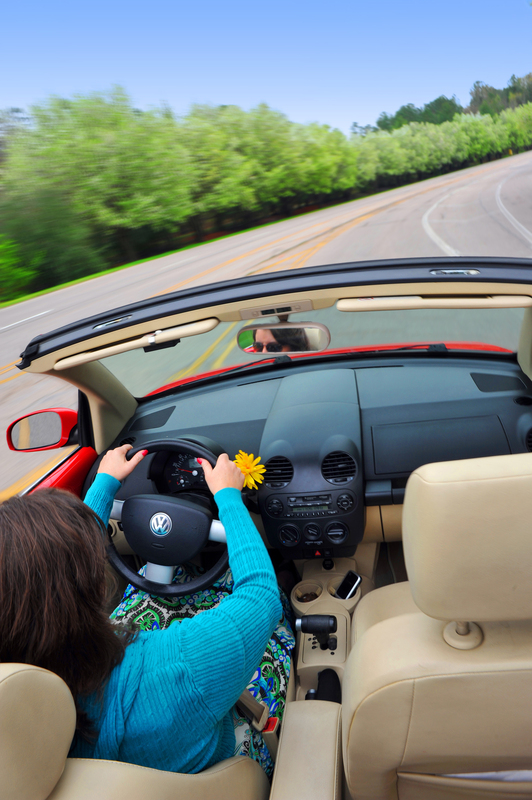 North Carolina Department of Transportation Photographer Katy Warner captured the meaning of the term “wind in their hair” in a photograph she took last spring of North Carolina drivers hitting the road. 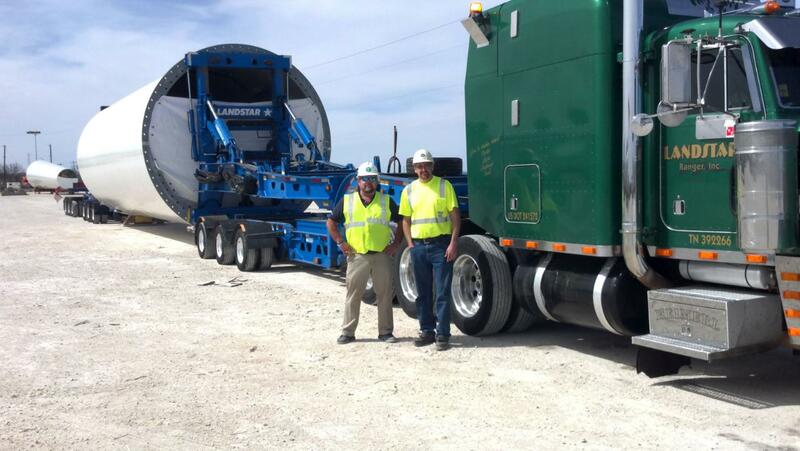 Dan Workman of Jacksonville, Florida took his winning photograph of a wind-energy generation tower and turbine on its way from Texas to Illinois. Nevada Department of Transportation Photographer Julie Duewel’s winning photo was taken of a highway worker at night on NDOT’s I-80 Design-Build Project near downtown Reno. The project, which will improve travel and safety, serves approximately 100,000 motorists daily. Metropolitan Transportation Commission Photographer Karl Nielsen. In this photo Nielsen captures a shotcrete nozzleman working on the construction of a fourth bore for the Caldecott Tunnel on State Route 24 in the San Francisco Bay Area. The machine he is holding sprays reinforced concrete on newly excavated rock, forming the tunnel’s initial lining. The photographs were judged by Lindsay Brown with the AASHTO Engineering and Technical Services. Brown has a Bachelor of Fine Arts degree in Photography from the School of Visual Arts. View the full gallery of entries. And be sure to check back with us for next year’s competition dates!